A cursory read of the news indicates that Apple is once again beleaguered so things must certainly be in free-fall in Cupertino. Given Apple’s recent news coverage, I am convinced it has shed its innovators’ DNA and will pay the price in years to come. I read some stuff. Doesn’t sound good. 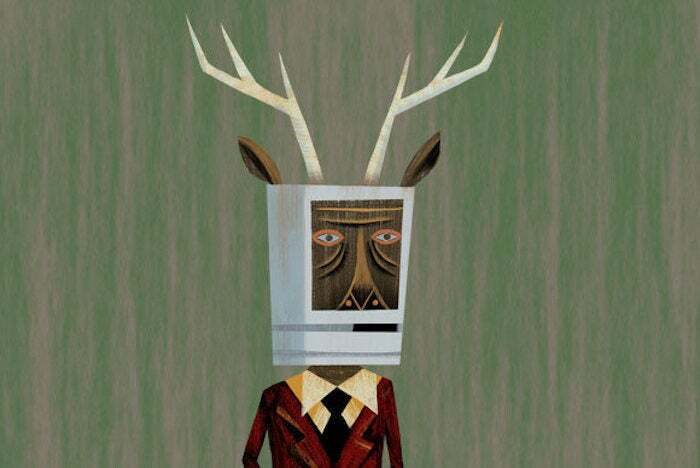 My dude, the Macalope has made a modest living for years by writing about ridiculously negative coverage of Apple. So, he is here to tell you that there is no correlation between “I read some bad things about this highly successful company” and the company actually being in a bad spot. And it’s not like Apple’s ever been the subject of frivolous lawsuits before! You are zero for two on unprecedented indicators. …one may wonder indeed what happened to Apple’s dedication to customer experience. What customers really want, you see, is phones that simply shut down without warning. That’s a good customer experience. The problem with “I read some stuff” is sometimes what you read is hogwash. Yes, Apple did a poor job of communicating, but it made the right decision about what to do about aging batteries. Its recent decision to shift all of Tim Cook’s travel to a private jet kind of affirms that notion. Anyway, Face ID isn’t perfect. There. There really aren’t. Diekhöner seems to have latched onto Abercrombie & Fitch simply because they were successful and then weren’t and pride goeth before a fall and something something hubris and here is your Apple doom. To drive home the doom, Diekhöner quotes third quarter smartphone market share numbers, which no one really cares about that much. In the super premium segment, there’s also evidence of a shift. As [Localytics] reports, activations of Google’s Pixel 2 surpassed iPhone X for the 2017 Christmas Weekend. While the iPhone X did not show the largest lift in new device activations, Apple certainly should feel good about the 2017 holiday shopping season, as many analysts believe it was the company’s best ever. Sounds terrible. Surely innovation is dead at Apple. Flurry backs up a more upbeat take on Apple’s holiday and is pretty down on Google’s. Apple Wins 2017 Smartphone Holiday Season. Google is once again missing from this chart, despite the fanfare around the launch of the Pixel 2. It is safe to say that due to limited phone models (4) and lack of consumer mindshare, the Pixel is failing to pique users’ interest. Maybe the truth is somewhere in between since supplies of the iPhone X were still somewhat constrained in December. It is a little interesting that Diekhöner seemed to pick the bad news angle from Localytics report. Once you get past the headline, the Macalope is really not sure how someone reads that report and walks away with Apple doom.